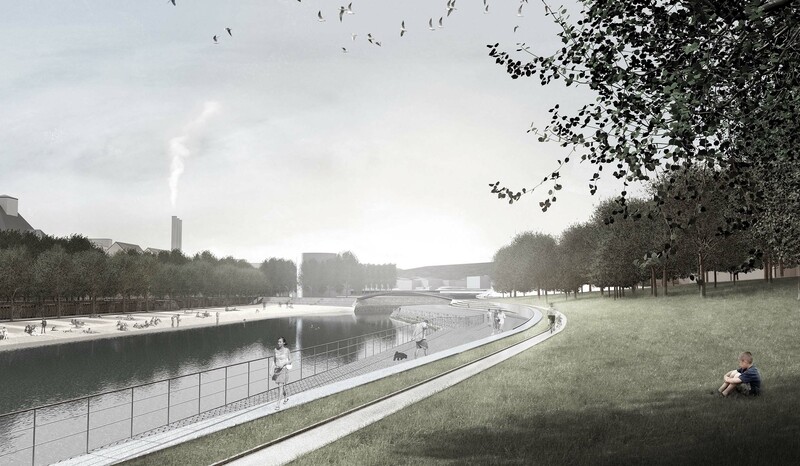 Emphasis of the design work will be on precise landscape modeling of the park beach and terrain in and around the island in response to the adjacent neighbourhoods located on both sides of the Rhine. 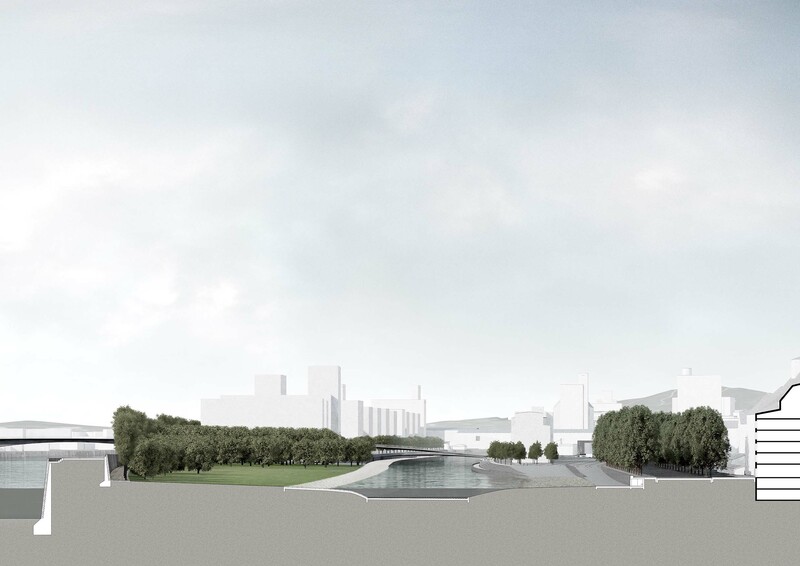 The Klybeck Island on the right bank of the Rhine in Basel North has come in the limelight recently with the IBA proposal by MDRDV for a dense development called “Rheinhattan”. 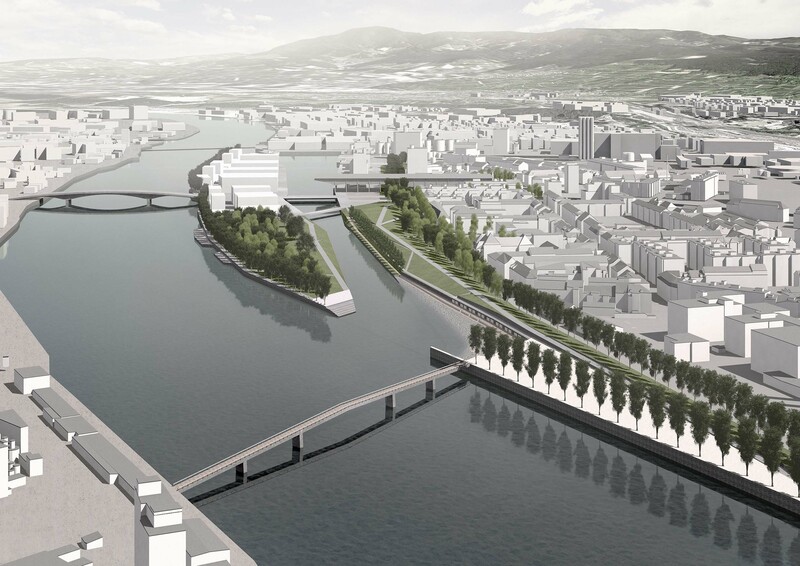 A denser Basel will also need an urban river park at its heart, to make life more enjoyable and raise the overall quality and image of the area. 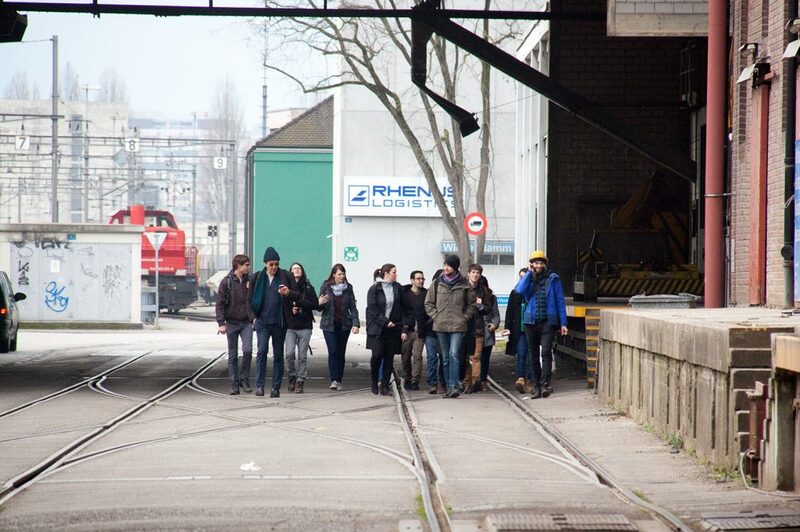 The goal of the FS 2014 Landscape Architecture Design Studio is to uncover new potential for the. Klybeckinsel in Basel, by creating a new park on its southern tip comprising a landing bank for the Rhine swimmers, a beach on the inner arm for sunbathers and a set of local amenities. Originally it was an island occupied by dense woods, which was later reclaimed and converted to a railway depot and gas tank Depot. It is particularly important to understand the strategic position of the Klybeck Island within the tri-national zone of Basel. It is precisely the last location on Swiss territory where people are allowed to swim in the river, beyond this point this is neither permitted in France nor in Germany. The connection of the Klybeck island to the tramline in Klein Hünningen makes it an important swim hub and destination. Response to the shaping of the former industrial site at the southern tip of the island will play a vital role in the design approach, it will also provide a strong framework for the park and the future high-rise center to the North. 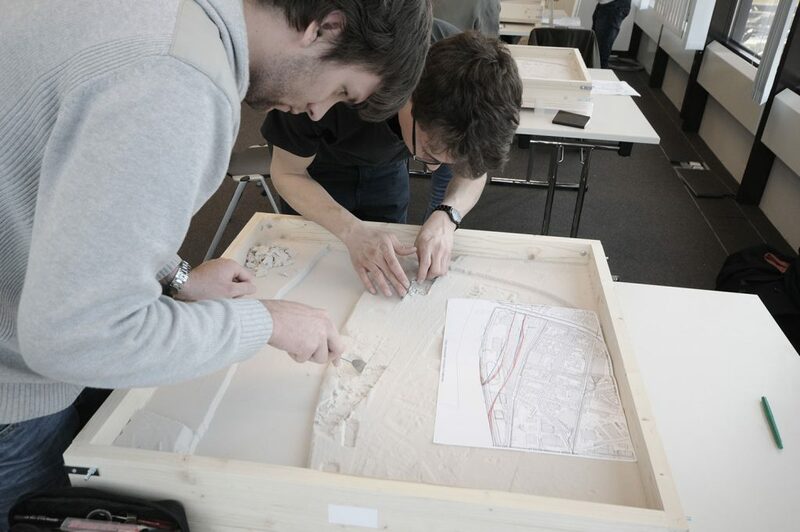 This studio will investigate existing topologies on the Rhine River in Basel and look more particularly at the history of the Klybeck Island and its inner arm. This is where a beach could be placed naturally at the heart of a growing neighbourhood. 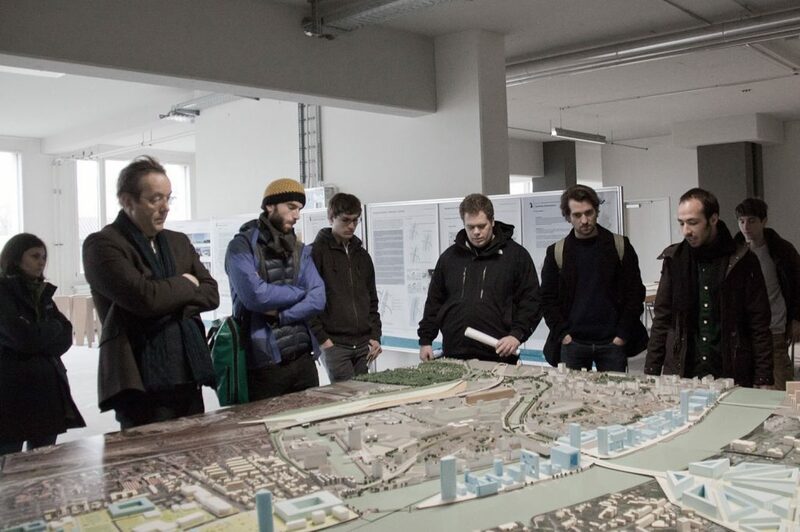 The operational framework and methodology of the studio will follow the precepts of a site-specific approach, in this case an understanding of the variable amplitude and force of the river must be considered. Emphasis of the design work will be on precise landscape modeling of the park beach and terrain in and around the island in response to the adjacent neighbourhoods located on both sides of the Rhine. Amenities such as a small café, a shower and changing cabins will be considered. 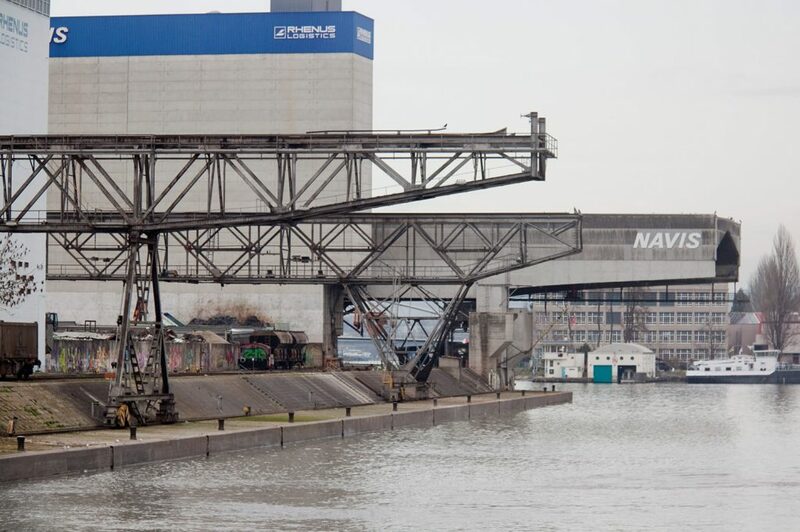 The southern tip of the island facing the intense current of the Rhine River will need to be crafted as an inclined bank made of hard material in order to “receive” comfortably all swimmers coming down the Rhine. A small life guard rescue tower/hut will be part of the programme at that location, to insure that swimmers are ok. 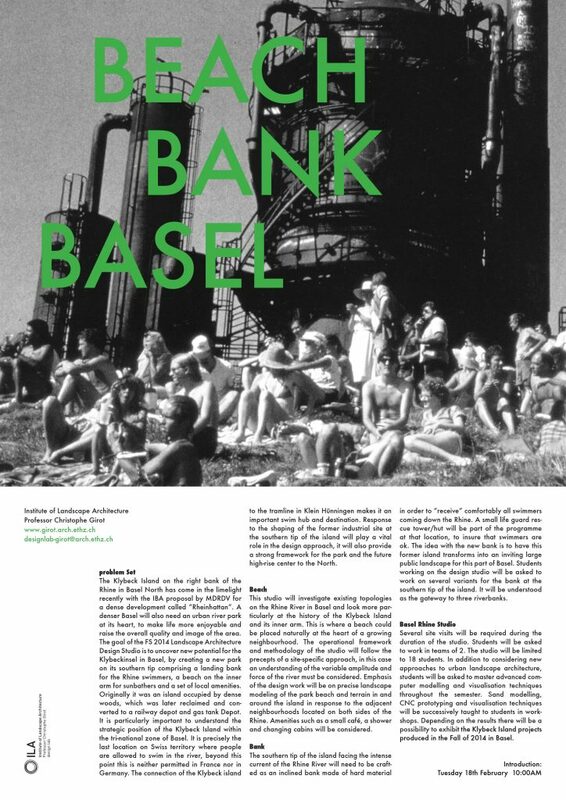 The idea with the new bank is to have this former island transforms into an inviting large public landscape for this part of Basel.